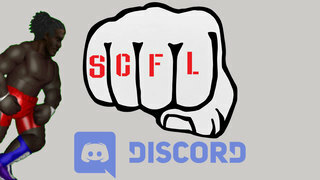 The SCFL Pro Open Scramble is an eight-man battle royale that opens every SCFL event. The rules are simple: eight-men enter, then can be eliminated by pinfall, submission, DQ or being thrown over the top rope. Kurt King originally won the championship. Eosinophil Rossi has held the championship three times, while only Eosinophil Rossi, Ron Harris, Fat Jonesy and Ron Lewis have ever defended the title.